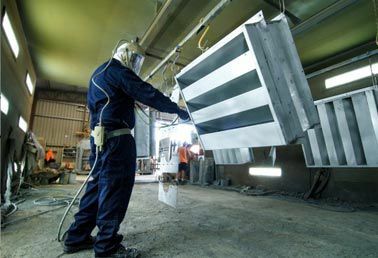 As an industrial company or a specialised equipment owner, you may require heavy-duty spray painting and sandblasting to resurface or coat and protect your equipment from rust. 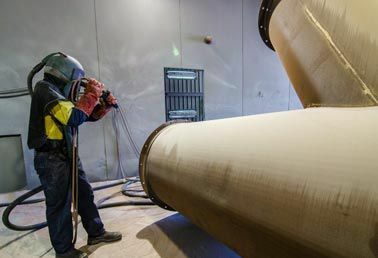 At TLC Surface Treatment we specialise in industrial sandblasting, abrasive blasting and protective industrial coatings for mining, commercial, and industrial operators throughout Western Australia. Extend the life of your equipment and improve its appearance with top quality protective coatings, we have the expertise to take care of all of your industrial spray painting requirements. Our custom-built facility in Welshpool, Perth, is fully-equipped with the latest technology that allows us to deliver superior industrial spray painting and sandblasting services. 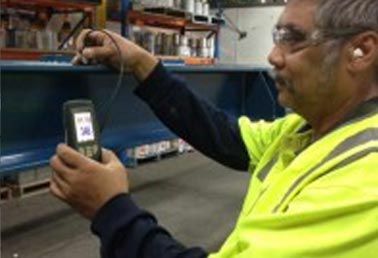 As the preferred industrial sandblasting and spray painting provider for heavy-duty industry leaders throughout Australia, we are ready to assist you with sandblasting and spray painting almost any metal manufactured item. TLC guarantees you exceptional service and product delivery. Adhering strictly to Australian standards, we use industrial grade garnet that guarantees a successful coating application specific to your industrial spray painting needs. Sandblasting is a straightforward method of cleaning a hard surface area by blasting garnet, onto the surface at a high velocity, typically with compressed air. Abrasive blasting is used to clean, prime or etch a surface, depending on what is required. Due to the nature and scale of the equipment we are required to resurface, industrial sandblasting calls for specialised techniques and blast rooms. Your equipment will be given a thorough clean to remove surface blemishes, rust and chipped paint, and will end up looking like new again. Industrial spray painting is the preferred technique to paint surfaces of heavy machinery and equipment in the mining and technical industries. Spray painting provides surfaces with a protective coating to prevent rust through exposure to harsh environmental elements. Using only the highest quality A-grade materials combined with meticulous workmanship, guarantees high-quality industrial spray painting. If your heavy-duty equipment and tools face harsh outdoor conditions and extreme temperatures, regular paint inspections are required to ensure that your apparatus, pipes and industrial materials are sufficiently protected. Through verifying the quality and durability of the industrial coating, your equipment can be prevented from any risk of corrosion. Any coating failures could mean expensive repair costs or downtime. It’s best to leave it to the experts to perform coating and paint inspections to ensure that your equipment is fully protected and compliant with strict industry regulations. For high-quality industrial sandblasting, spray painting and paint inspection, contact the team at TLC Surface Treatment for an obligation-free quote. For many years Living Iron has used TLC Surface Treatment as our paint finishing company of choice. TLC Surface Treatment have consistently demonstrated their commitment to quality and customer service, enabling Living Iron’s work to be finished to a standard that meets project specifications and time frames. Over the years TLC Surface Treatment have actively worked with us to solve technical issues and meet demanding timeframes on some challenging projects. We are happy to recommend TLC Surface Treatment to any potential client.